The two most common methods for printing envelopes are offset and flexographic printing. Offset offers the highest quality of envelope printing. It produces a clear, well-defined image area and provides excellent ink coverage. It is effective on many different paper surfaces from smooth and vellum to laid and felt. 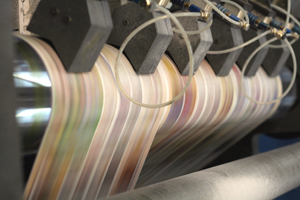 Offset printing can be done before or after folding. After-fold envelopes are printed upon completion of the folding process. Offset printing is generally done after the envelope is folded, but envelopes can be cut from pre-printed sheets which allows for copy to wrap around the back of the envelope. Flexographic printing is done from polymer plates on which the image to be printed is raised above the non-printing surface. Ink is applied to the raised surface while the surrounding areas are lower and do not receive ink. The inked image is then pressed directly onto the paper. 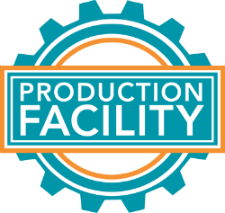 High-speed flexography equipment uses water-based inks for fast drying on the folding machine. Envelopes can be printed prior to being run through the folding machine (before fold) or in-line on the folding machine. Increasingly, new machines are being developed to digitally print envelopes. While generally reserved for smaller quantities, digital printing offers quick turnaround, high-resolution, full-color and the opportunity for customization. Letterpress printing, embossing, engraving and other specialty processes should be done before converting so the impression doesn't show through. Regardless of the processes you use, you should talk to your printer early in the design process. Keep in mind that each press has different tolerances and requirements. For instance, flaps and gum area can affect printing of solids and window envelopes may not be able to run through high-heat digital presses.